Barbara Luellen Houser-Redman was born to Vera Mae and Clarence Houser Sr. on January 24, 1950. She passed away on March 26, 2019. Barbara was a graduate of Valley High School and a member of the Church of God. She later became a laborer at Edgewater Steel Corporation. 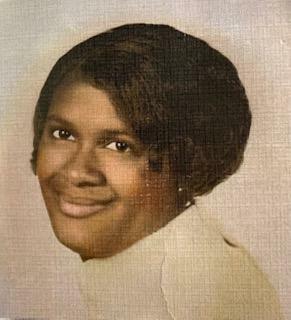 She leaves behind her husband, Donald Ellis Redman Sr.; brother, Clarence Houser Jr.; five children and two daughter-in-laws, Janelle Houser Gilliam, Janine Houser, Donald Ellis Redman Jr., Brian Redman, Danielle (Lesley) Redman Miller, and Lydia Dandapat. Barbara also leaves behind a loving family, friends, Best friend, Tanya Williamson, and a host of nieces, nephews, grandchildren, and great grandchildren. In addition to her parents, she was preceded in death by her in-laws, Mary and Curtis Redman Sr., brother-in-law, Curtis Redman Jr.; and two grandsons, Joshua Anthony Houser and Justin Augustus Houser. ROSS G. WALKER FUNERAL HOME LTD., 217 Freeport Road, New Kensington was entrusted with the arrangements.